Washes very well. Great colors. very soft. I would order again. 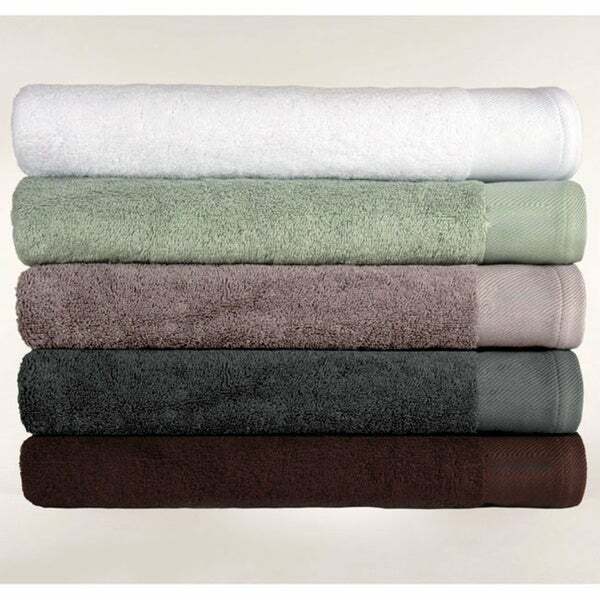 This towel set combines the naturally soft fabric of rayon from bamboo with the finest cotton. These towels are made with a strong cotton ground and a heavy pile of rayon from bamboo to create a thick and luscious, yet strong and sturdy towel. The towels are soft and as expected. This is based on the fact that I haven't washed them yet. It is a set, which is good, because I hate having to match all the hand towels and tend to those kinds of details. They are bamboo - so be prepared for flat, not so plush and fluffy towels - even after a few downey washes. Amethyst color is as shown - nice modern, chic and timeless look, however. Arrived in a timely manner.